And then came Molly. No, that one I have already blogged about here. 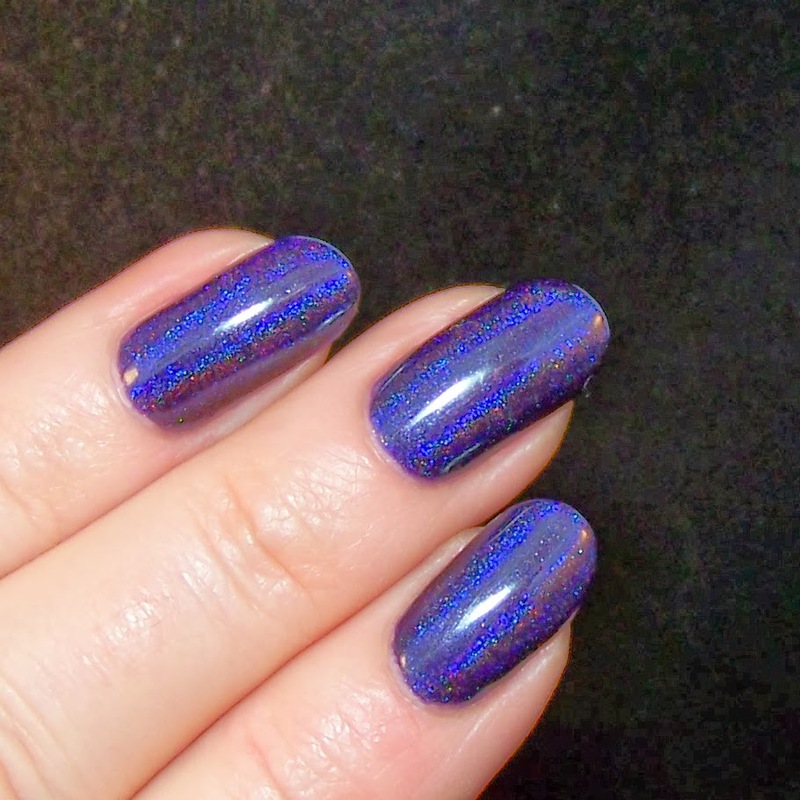 Now it is time to show the other holo polish I bought at the same time. The brand is I Love Nail Polish - ILNP. 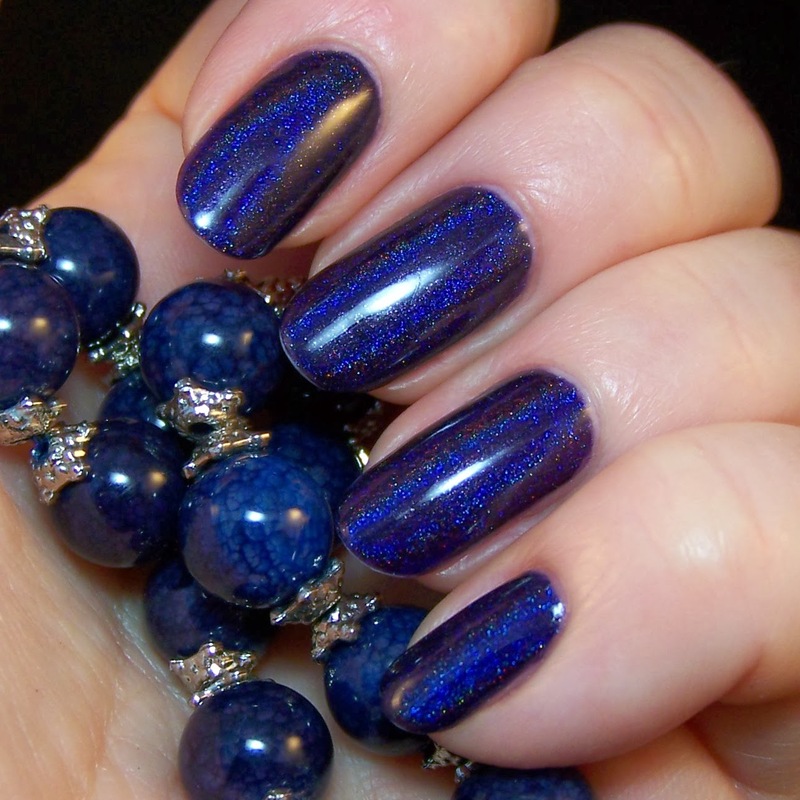 It is probably most famous for the wonderful multichrome and multichrome-holo polishes, but there are lots of other beautiful polishes from that brand. Grape Alicious is one of them. The base is a very deep aubergine (ok grape) purple. It is a color I like very much, even as a cream polish. This looks like a cream polish in ordinary indoors light, and grey outdoors daylight. 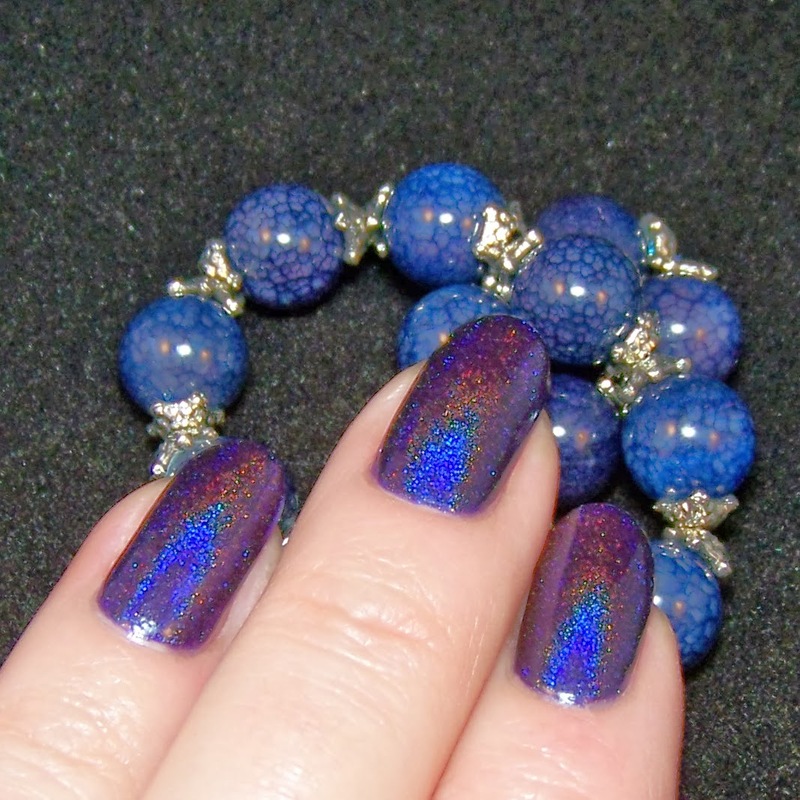 But there is a holo effect hiding underneath it all. 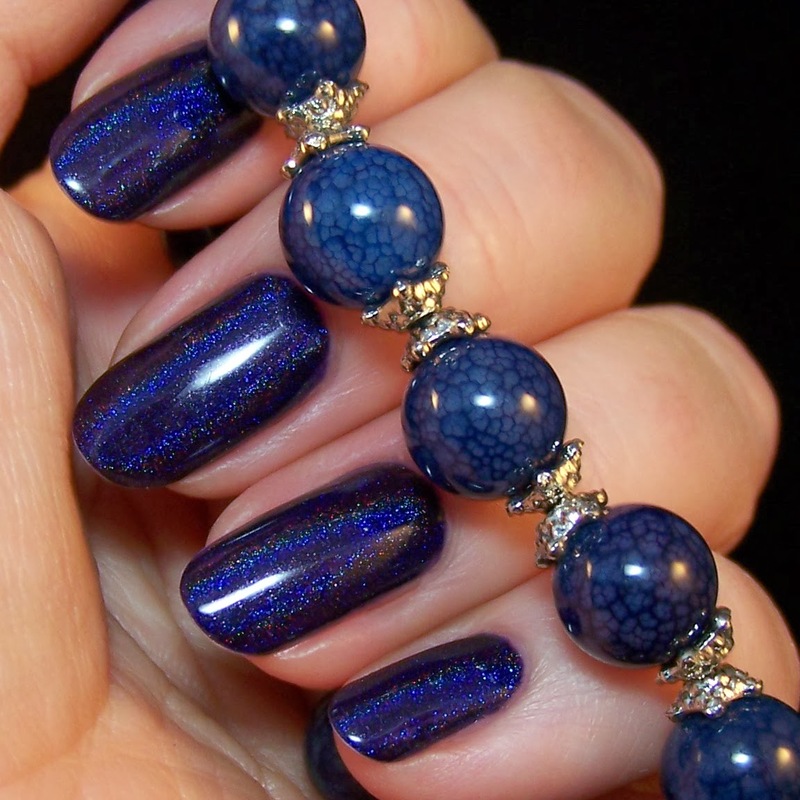 It is a little bit like Lilypad Lacquer Wild Orchid in this behaviour, but they are still quite different. WO has a darker base, leaning more to black, GA is a bit lighter (or less dark maybe...) and seems to have finer grained holo particles. Both are true beauties! The biggest difference between these polishes is the formula. Nicole at Lilypad seems to have found a base with fantastic qualities. ILNP is actually quite good, but you get spoiled when the first indie polish you buy is a Lilypad with this exceptional formula. Enough with the Lilypad praising, I bore you to death with this! As I hinted above the application of Grape Alicious was a little bit tricky. Nothin alarming, I will not discourage anyone from bying ILNP polishes, but the first coat gets a bit gooey and leaves some bald spots. Nothing that the second coat could not repair. 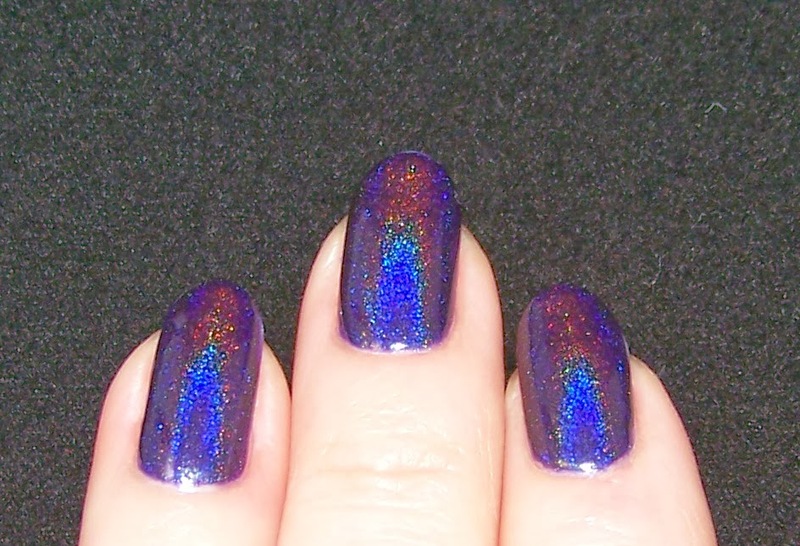 As said, the holo effect is a bit shy, but when it shows it shows. A beautiful, strong, fine.grained, linear holo.